Gas Prices Continue to Drop But How Low Will They Go? 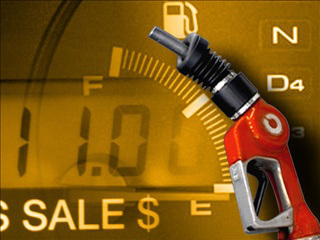 With gas prices already at an all-time low, consumers are enjoying spending less at the pump to fill their gas tanks. The national average for mid-grade gas in the U.S. has decreased at least 50 percent from where it was a year ago and is selling at $2.44 a gallon while premium costs a mere $2.61 per gallon. With experts already predicting further drops in pricing, many are calling for a decrease in supply to increase demand and put gas prices back on an upward trajectory. Lower gas prices aren’t necessarily a bad thing but when they are tied to weak world demand—as they are nowadays—that means the world economy is slowing down, according to Drexel University’s Shawkat Hammoudeh, a professor of economics in the University’s LeBow College of Business. “Gasoline prices are part of the oil industry and lower oil prices mean layoffs, lower capital spending and lower stock prices for the oil industry and the economy in the short term,” said Hammoudeh adding that low gas prices are also bad for the environment as more people drive rather than seek more environmentally friendly means of transportation. In order to re-balance supply and demand for oil, the price will need to drop to about $40 a barrel, according to Hammoudeh. “This should reduce the oil surplus by sidling investment capital and silencing marginal oil producing wells,” he said. To put that into perspective, the cost per barrel is currently around $45. Last week, Reuters reported Brent LCOc1 settled down 84 cents at $46.59 a barrel, after falling to $45.19, its lowest since March 2009. U.S. crude CLc1 closed down 18 cents at $45.89, after hitting an April 2009 low of $44.20. But how long would the price of oil stay at $40 per barrel before it starts increasing? “Longer than expected because of the presence of a storage capacity that can carry one million barrels a day for a year,” said Hammoudeh. He predicts oil prices could stay at $40 a barrel for months. In a year or so, the market should be rebalanced as oil supply decreases and new drilling comes to a halt, according to Hammoudeh. “The rebalancing period could be shortened if global economic growth picks up which is not highly likely,” he said. Historically, the Organization of Oil Producing Countries (OPEC) supported price stability by controlling excess oil production but with Saudi Arabia—which controls 16 percent of the world’s crude oil production—refusing to cut oil production, despite crashing prices, we won’t be seeing a change any time soon. “Saudi Arabia wants to clean up the market without losing market share,” said Hammoudeh. “The Saudis most likely will wait from 6 months to a year before re-assessing their oil and political strategies. It is still paying a heavy price in the short run. For now consumers can continue enjoying heavily discounted gas prices. In the UK it’s $7.48 per gallon so it is unbelievable it can get any lower in the US ! !